Munich ’72 and Beyond sheds new light on the tragedy that took place at the 1972 Summer Olympics in Munich, Germany. 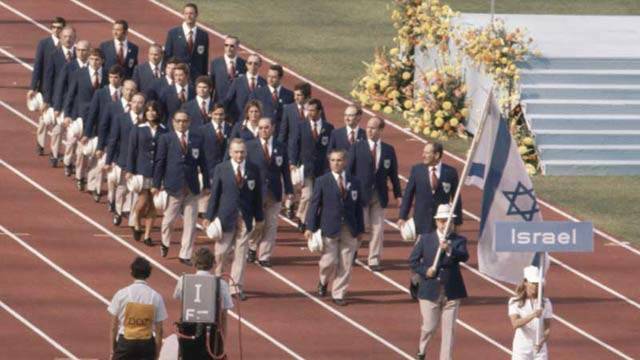 In the pre-dawn hours of September 5, 1972, eleven Israeli Olympic athletes were taken hostage by faction of the Palestinian Liberation Organization. The terrorist group, called Black September, infiltrated the athletes’ dorms and took them hostage, vowing to kill one hostage an hour until the Israeli government released all 234 Palestinian prisoners from their jails. Consequently, violence erupted, leading to the deaths of all 11 Israeli hostages, five Palestinian terrorists, and one German officer. Approximately one billion people worldwide witnessed the tragedy unfold over 23 hours. This incident led to an international crisis that would continue to raise controversy for many years to follow. Written and directed by Stephen Crisman, the documentary features interviews with people on all sides of the incident: Palestinians and Israelis, surviving family members, eyewitnesses, Olympic authorities and government officials, and pays attention to details long forgotten, ignored or obscured. The film culminates with the plans to build a memorial on the grounds of the Munich Olympic Stadium to honor the victims of the tragedy. It is a highly emotional film and a beautiful tribute to those who were lost and who have suffered loss. The documentary has won numerous awards and honors, including Best Documentary for LA Shorts Fest, and has been chosen to screen at many festivals, including 2016 Sarasota Film Festival, Toronto International Short Film Festival, and Hawaii Shorts Fest. Munich ’72 and Beyond will air on Rhode Island PBS on Thursday, August 24, 2017 at 9 PM.